Recently we reached out to Bryan and probed his creative mind to hear more about his journey into upcycling and where he draws his inspiration from. 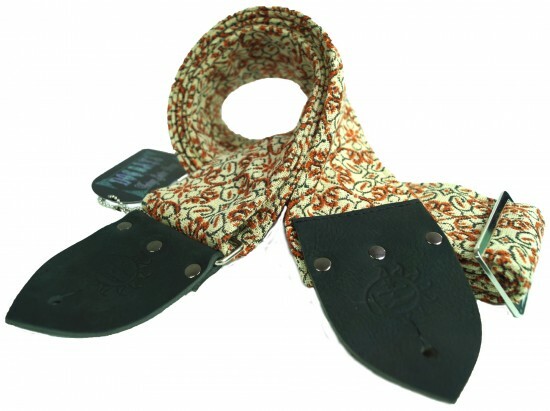 Be sure to check out Bryan’s website http://www.dogdaysvintage.com and read on to see and hear more about his amazing upcycle guitar and ukulele straps. Tell us about your background and what you were doing before you started Dog Days Guitar Straps. 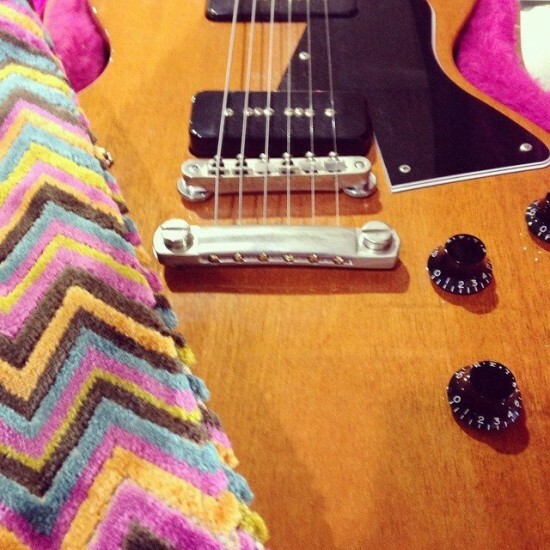 Where did the idea of vintage guitar straps hatch? We can tell that you are passionate about music and solid, quality, retail experience. Tell us more about why a high quality strap is so important to you as a musician and business owner. Where does upcycling come into play? Why is this such an important part of your business model? We love that you call your office and manufacturing area the Doghouse. It really provides us with a lasting and fun impression of your branding. What is a typical day in the Doghouse like – who are the key players? “We are a small, family owned business… I manage the marketing, sales, catalog and leather work, my mother does much of the sewing, and my father processes the majority of our shipments. 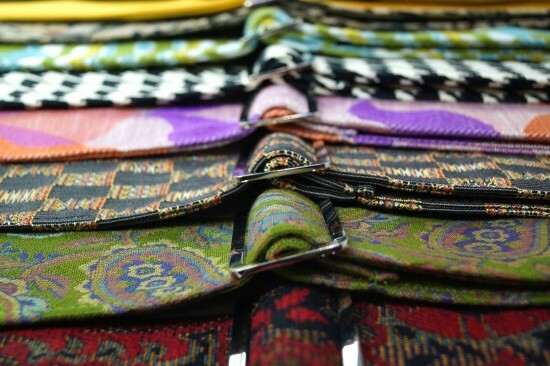 All of our guitar straps are manufactured in house by hand with an attention to detail and a focus on quality. Santa Cruz locals often stop by the Dog House and bring in their favorite instrument, carefully selecting the bast match for their instrument out of our selection of 40+ different patterns. Sometimes the strap even matches both the interior of their case and their instrument! Three Words: Challenging, Rewarding and Unique. Go. “Challenging: Although nothing looks and feels better than a guitar strap that is made from the world’s finest fabric available, some customers do not want to pay over $10 for a guitar strap, it can be challenging to toe the line between having the highest standards for quality and keeping our product affordable so that everyone can enjoy them and so that retailers are interested in offering our product to their customers. Rewarding: The most rewarding part about my job is seeing how deeply our products are resonating musicians. When I witness someone find the perfect guitar strap for their prized instrument, it’s like seeing the excitement of someone recognizing that they’ve found a long lost friend! It’s extremely gratifying and makes all of the work worth while! Your products not only sound stellar, but they look down right fantastic too. Certainly there have to be a few memorable names out there supporting you, wearing Dog Days Guitar Straps. What artists are currently wearing Dog Days Guitar Straps? Two last thoughts. The first being if you could travel anywhere in the world for upcycling inspiration, where would you travel? And lastly, if you could travel anywhere to gather materials for your upcycle “True Vintage” guitar straps, where would you go?